This post is sponsored by ALDI. Click here to head straight to the $100 ALDI Gift Card Giveaway on Facebook! 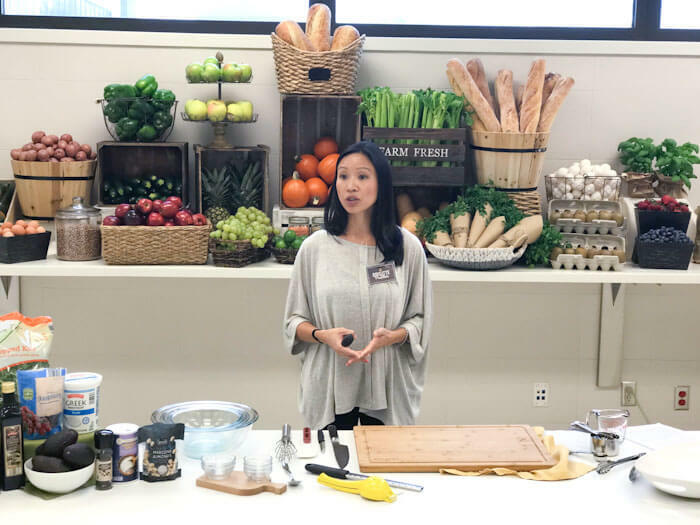 The week after FNCE I visited the ALDI Test Kitchen in Chicago. When ALDI reached out to ask me to attend their RD blogger event, I was pumped mostly because I couldn’t wait to learn more about ALDI. 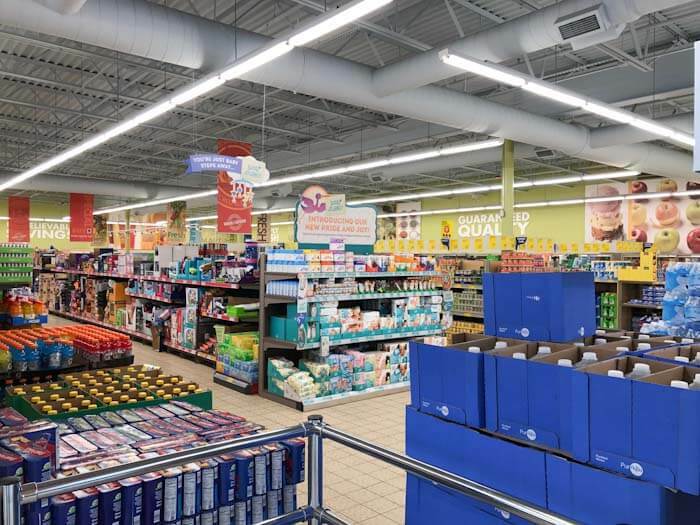 In full disclosure, at the time I wasn’t a regular ALDI shopper but I was intrigued to learn more about the brand and what all of my loyal ALDI friends were talking about. It was a super quick trip. I arrived in Chicago just in time for the group dinner at a local pizza restaurant. This trip was right after FNCE so I got to see many of my fav RD peeps again. We enjoyed some good conversation and pizza and wine (well– minus me because I left my ID in the room– #fail). The one night I’m not nursing the babe and I get carded….womp womp. That’s okay, I was in good company with some other preggo friends at the table. The next day, Kara and I took a quick walk to a local coffee shop. It felt amazing out and really good to get our legs moving before heading to the bus. That morning we toured one of the ALDI stores and got the DL on all things ALDI. 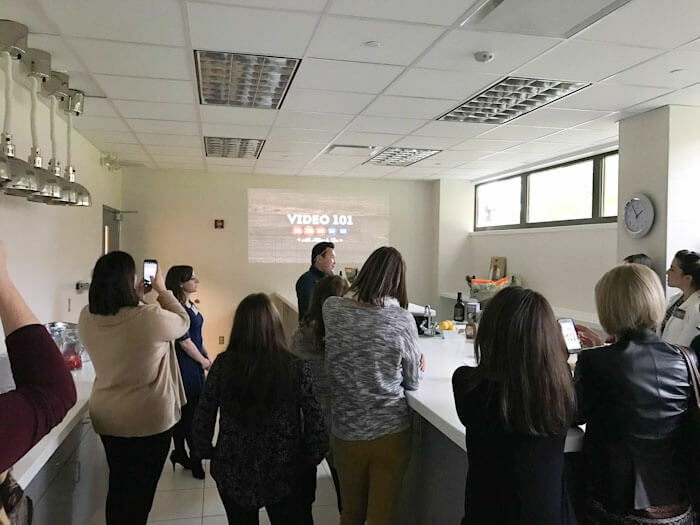 The tour was very insightful and not only are they focused on high quality products and nutrition, they also care about the consumer’s budget. 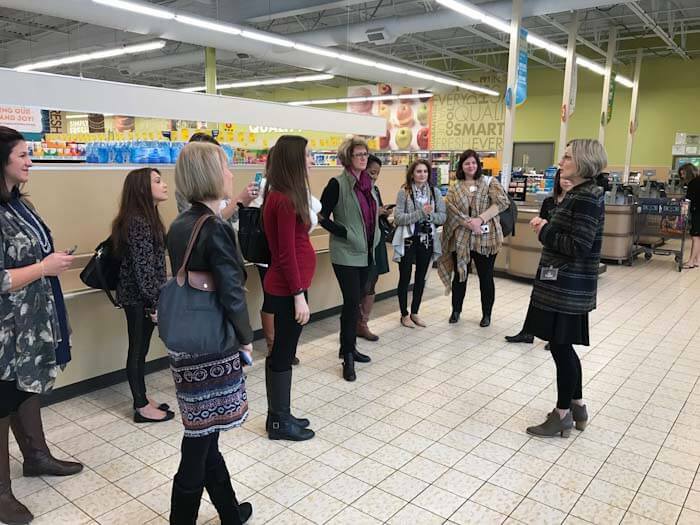 It was awesome to be able to learn about how ALDI keeps prices so low– they are all about efficiency. While it may be a no frills shopping experience, you leave there happy because of the lower price points on healthy, quality food. In fact, in an effort to be super transparent (eeeek), we can EASILY spend $150-200 a week on groceries to feed our family of 3 when shopping at our usual grocery spots. OUCH, right? I cringe at seeing the prices add up. However, when we go to ALDI, we can keep our food budget to $100-125. And that’s with a BIG foodie grocery haul, which includes organic baby food, diapers and paper products. Insane the price comparison, right? 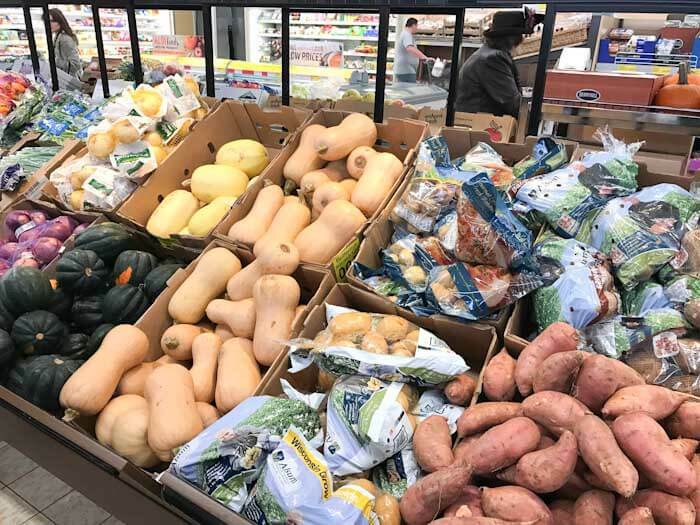 ALDI really is a one stop shop, too… there are cases when I have to go to another store for specialty items (#foodbloggerproblems), but truly we can get everything we’d want and need at ALDI. So back to the trip, it was a jam-packed day with all things ALDI and after the store tour we bussed over to the ALDI Test Kitchen which was right down the road. I’m being so honest here, we had so much fun because of how interactive this trip was (i.e.– there was lots of eating happening) and games, lots of fun games. To see the silliness and more on all the fun happenings with My ALDI Experience, check out this video that I created to recap our trip! Thanks ALDI for inviting me to tour the store and ALDI Test Kitchen. Check out some of the other posts from my RD friends that were at the event! I’d LOVE to know, do you shop at ALDI??? Don’t forget to head on over to Facebook to enter into the giveaway! Hope you enjoy! Great place to go if you have to feed a crowd. YAY! Be sure to check out my ALDI gift card giveaway on Facebook..
My milk and eggs are always from Aldi – I love how they sell organic cheaper – how their fuss-free shelving options brings down our costs! You know it!! Check out the ALDI gift card giveaway on my Facebook page! This sounds like such a fun trip _ I’m going to find an Aldi near me! Yeah! We had a blast!! YEAH!! Give it a try. I was surprised by how much I saved– quality products too.